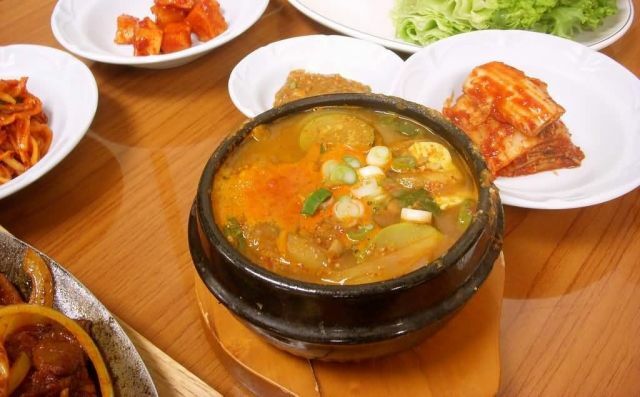 Cheonggukjang is a fermented soybean paste used in Korean cuisine. It contains whole as well as ground soybeans. It can be made in 2 to 3 days through fermentation of boiled soybeans, adding Bacillus subtilis, which is usually contained in the air or in the rice straw at about 40 °C without adding salt. Like many forms of doenjang, cheonggukjang is paste-like in texture, but also includes some whole, uncrushed soybeans.